Selecting a portion of an audio sample is something that we do often. 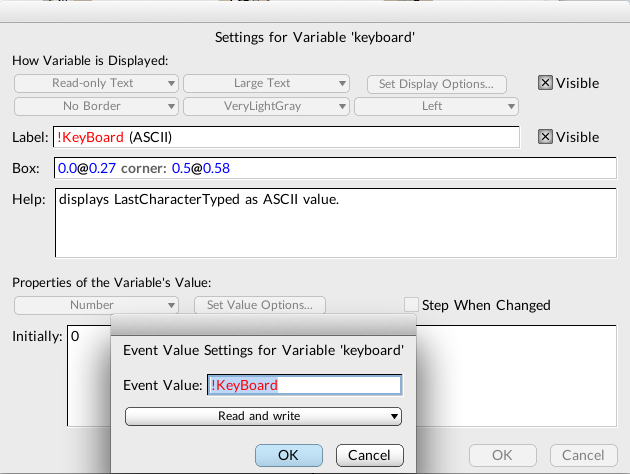 Digital Audio Workstations (DAWs) like Logic and ProTools or even Sample Track Editors like Peak and Audacity allow users to select a portion of audio. Figure 1. 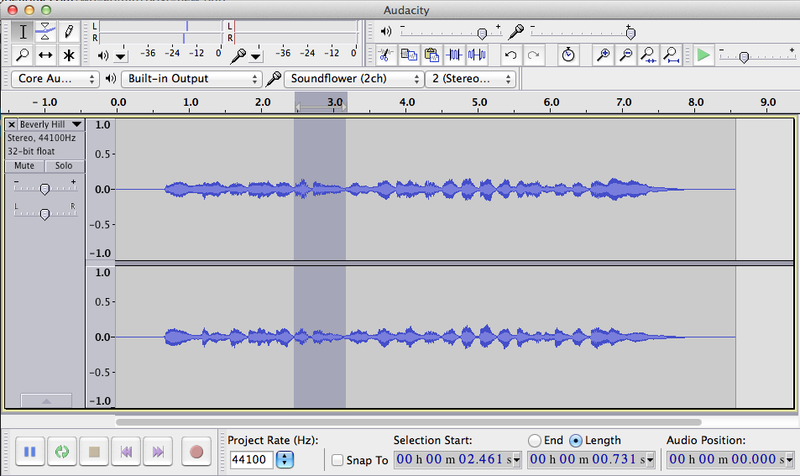 Selection of Audio in Audacity. The process of selecting audio with a mouse for out-of-real-time control (and in the comfort of one’s studio) isn’t a bad paradigm. However, what about live performance contexts? What other paradigms exist, may be altered, or can be created to benefit live performance? In conversations with Ted Coffey one such idea came up. With the Wacom tablet, one may alter the start and end selection times of an audio sample based upon the pen’s position in XY space. This idea, sample selection times in XY space, is entirely Ted’s and I can take no credit. Still, I was and am excited about his control idea and I really wanted to listen to a sound using the XY control paradigm. This blog post documents my implementation of sample selection times in XY space based upon Ted’s description. Using the Wacom tablet, we map XY space onto the sample selection start and end times (Y-axis is selection start, X-axis is selection end) and use !PenDown to trigger the sample start/release. So, what does this sound like? Here are two examples. 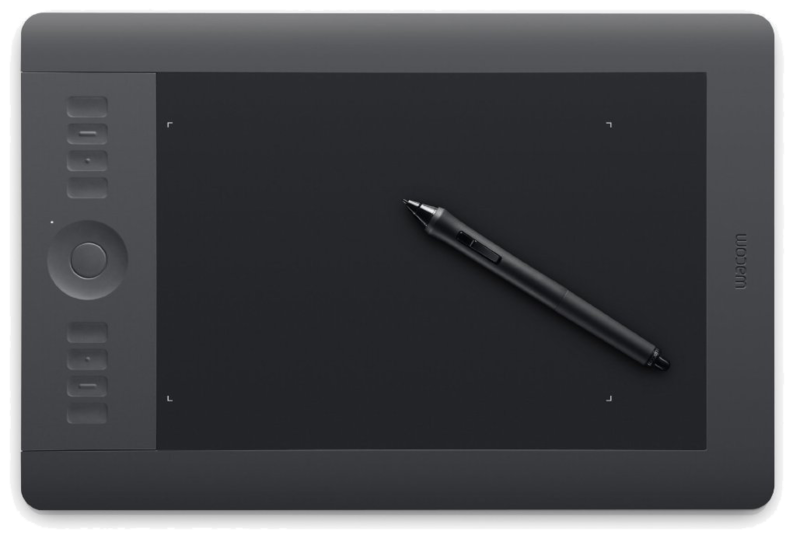 The first example uses to pen to scrub different locations of the tablet. Source material is the opening theme to Beverly Hills Cop. To sum up, using XY space to dynamically alter start/end selection times of a sample has strong performance possibilities. 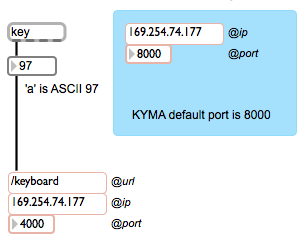 For those interested, I’ve shot a quick video of the controls inside Kyma and placed my source Kyma 7 files here. Duration must be ‘audioFileNameOfDrum’ sampleFileDuration s.
This means that the value starts at 0, PenDown will trigger 1 when next beat occurs. Over the last few months, I’ve been interested in data zooming, where a finite range of data (say 0-1) can be magnified and explored in greater detail. We are all familiar with the paradigm. In Microsoft Word or Photoshop, for example, you zoom the view (e.g. 125%) and in the same amount of screen real estate, you see a smaller region (of words or pixels) in greater detail. Figure 1. 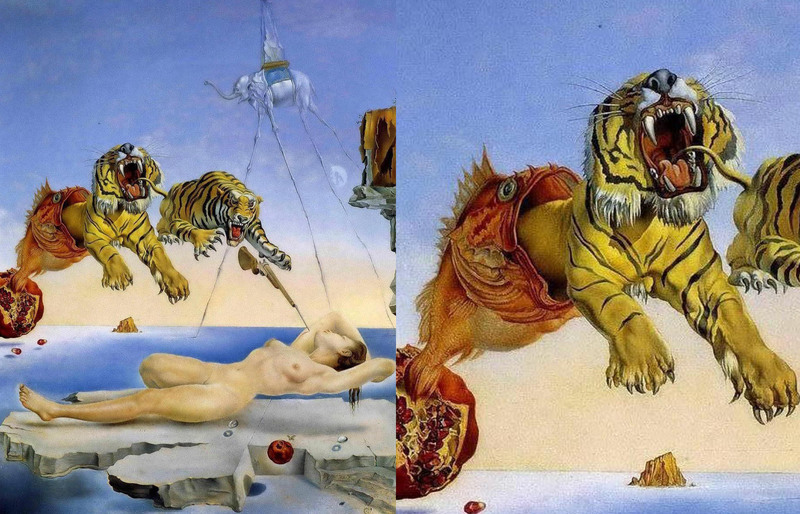 Zoom in of a portion of Salvador Dali’s Dream Caused by the Flight of a Bee Around a Pomegranate a Second Before Awakening painting reveals more detail in same amount of screen real estate. Zooming is also true for any stream of numbers. In software we can map a fader to move between 0-1 and on a similar fader (or the same fader), map the range to 0.0-0.1 (1/10 of its original range). Figure 2. Max/MSP fader mapped to different scaling factors. While a simple concept, data zooming can be a powerful tool. Magnification embodies focus, detail, and exploration. If sound is data or controlled by data, then magnification enables us to literally ‘zoom in’ on audio. 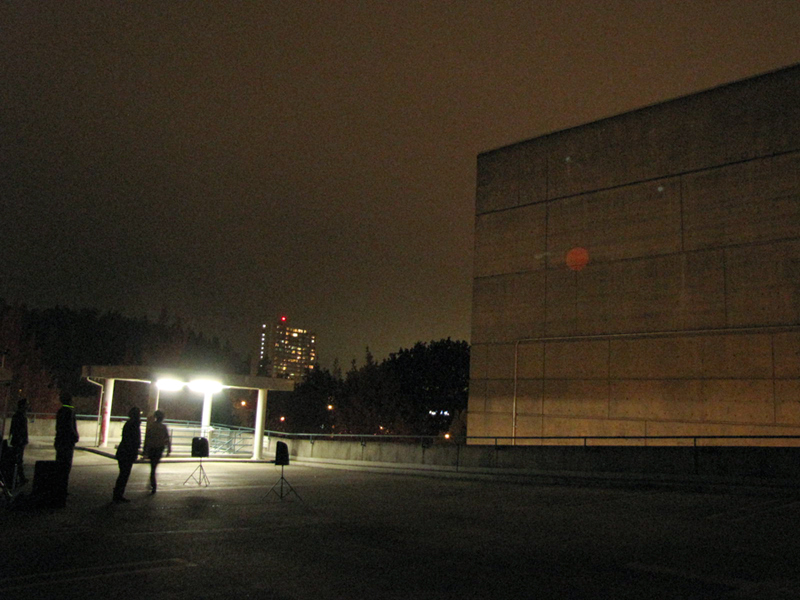 Data zooming, then, becomes a way to explore sound space. 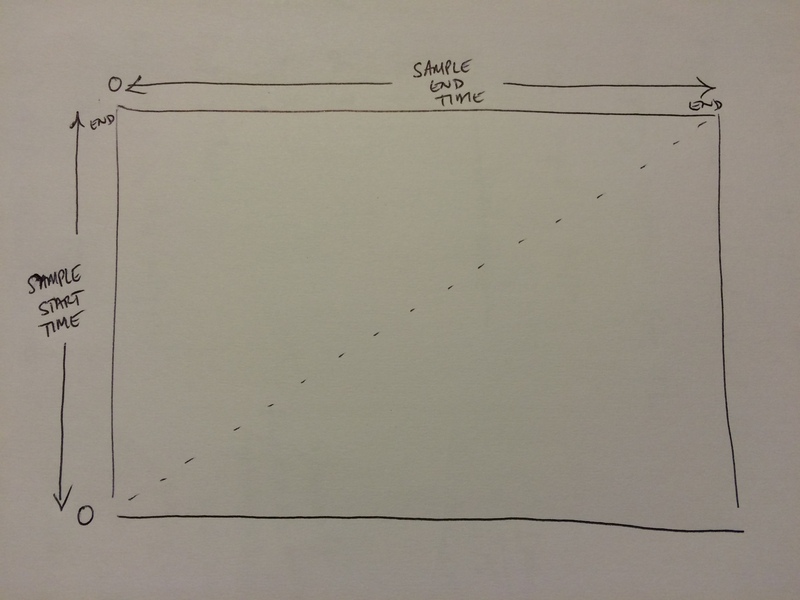 The basic gist of data zooming is that we need two controllers to do the job: a continuous fader (e.g. !PenX) and a button to trigger the zoom (e.g. !PenButton2). The pen/fader equates to the values that we read and in our case, the values that we map onto the TimeIndex of an audio sample. Data zoom works like this: whenever the zoom button is depressed, we take the current location of the fader and “zoom” in to the location. With zoom enacted, the fader moves at a smaller scale around this location point. The magnitude of zoom can be altered, but for the purposes of this example, I worked with a 10x zoom magnitude. 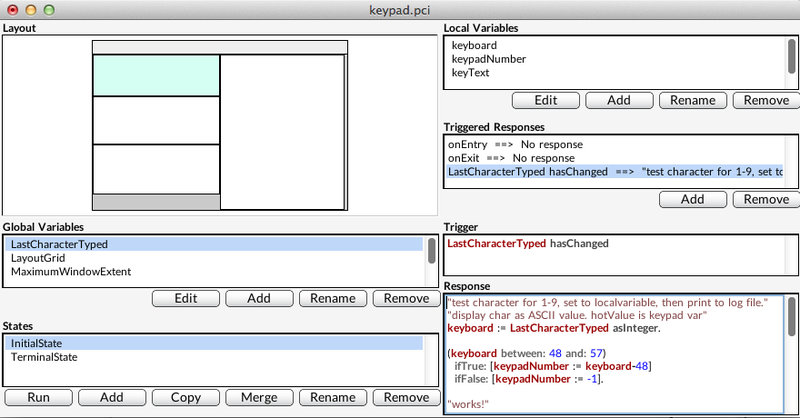 Before jumping into Capytalk and Kyma, let’s walk through my initial prototype inside Max/MSP. The math is the same. The range of initial values (!PenX) are between 0-1. When the zoom button is depressed, we need to save the current location of !PenX and use as our new zoom location (offset). In addition, we need to alter the range in which !PenX moves through data (scale). 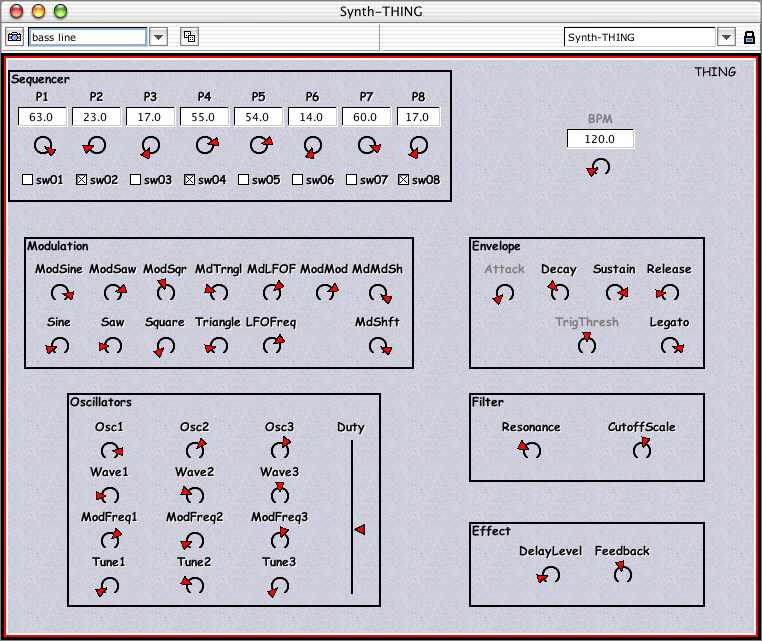 I’ve uploaded the Max prototype patch and Kyma file here. Figure 4. 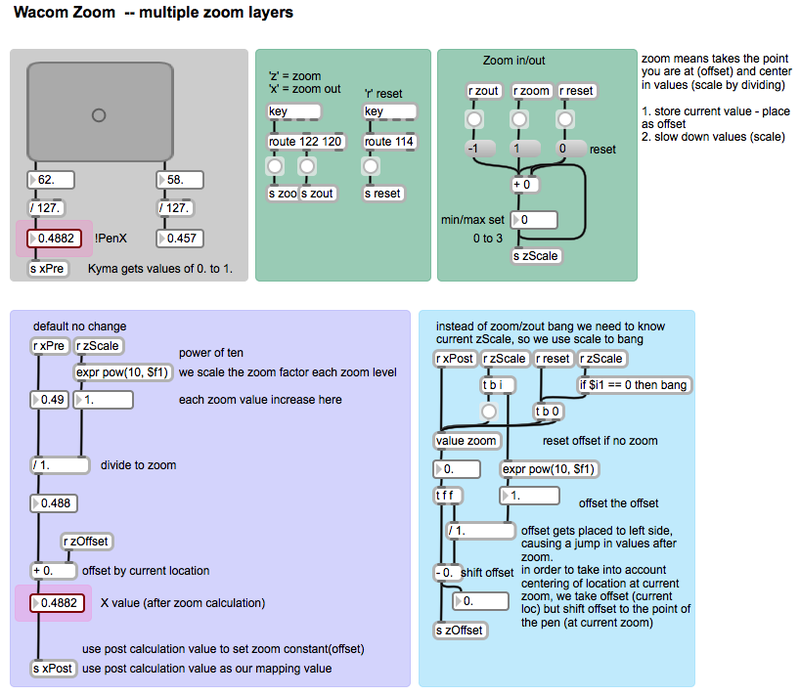 Max/MSP patch prototyping data zooming function. 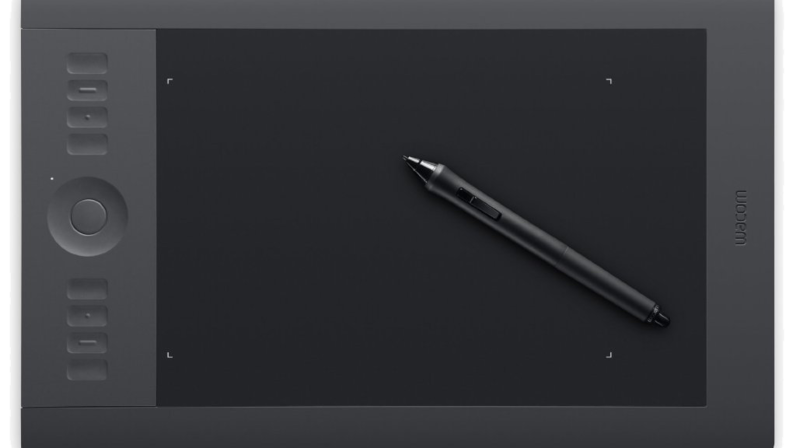 In order to take into account the centering of the Pen at the current zoom level, I had to add an additional offset that shifts the offset to the actual point of the pen on the tablet. The Max prototype includes multiple zoom levels at powers of 10. With Kyma, I used the same basic concept. When a button is pressed (!PenButton2), we zoom to the current value of X (sampleAndHold) and magnify the boundaries of !PenX from 0-1 to the zoom order (exponent of 10). Because 10^0 = 1, we can use a button’s press (binary 0 and 1) to create a simple on/off zoom in Kyma. Figure 5. Simple zoom for data values using the !PenX and !PenButton2. 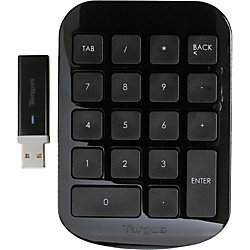 First, !PenX is scaled down when !PenButton2 is depressed (power of 10). We then add back (offset) PenX’s location from when PenButton2 was pressed. In order to take account of the actual pen location on the tablet, we have to subtract PenX’s sampled location at the same order of the zoom. Lastly, we multiply this offset by !PenButton2 so that when the button becomes 0 (zoom off), the zoom offset no longer effects PenX’s initial, non-zoom state. 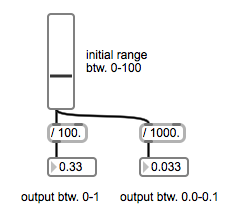 Thus, with PenButton2 off, the Capytalk is just (!PenX / 1) + 0. Below is a short video sounding the process. Download the Kyma and Max files. Palle Dahlstedt. “Dynamic Mapping Strategies for Expressive Synthesis Performance and Improvisation.” in Computer Music Modeling and Retrieval. Genesis of Meaning in Sound and Music. 5th International Symposium, CMMR 2008 Copenhagen, Denmark, May 19-23, 2008. 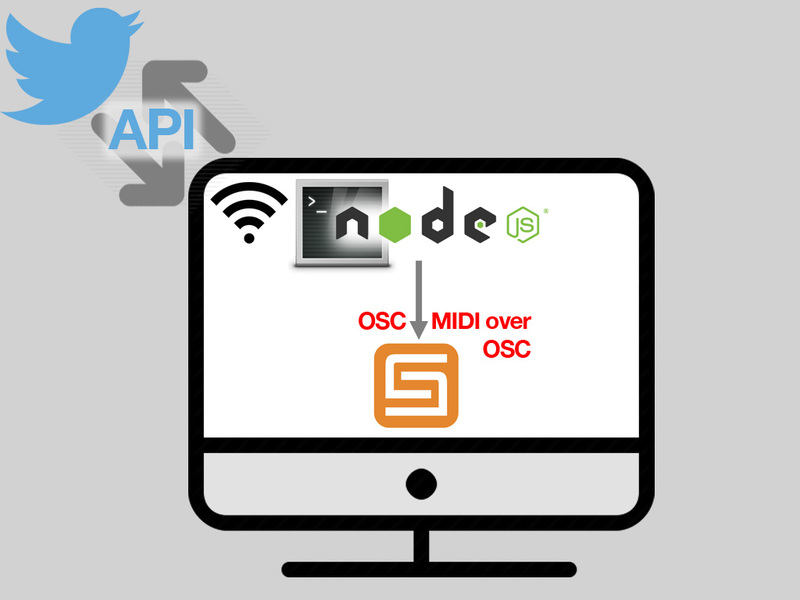 Built off of my work for #Carbonfeed (http://carbonfeed.org) and the KISS2015 conference (http://kiss2015.symbolicsound.com), Twitter-Kyma is open-source code for getting Twitter’s API working with Kyma 7. How tweets flow to Kyma. This is a performance video of AUU (for eMersion wireless sensing) at the 2014 Margaret Guthman Musical Instrument Competition, held at Georgia Tech. I performed as a finalist representing Chet Udell’s eMersion wireless sensing system (unleashemotion.com/). The eMersion system is now commercially available. 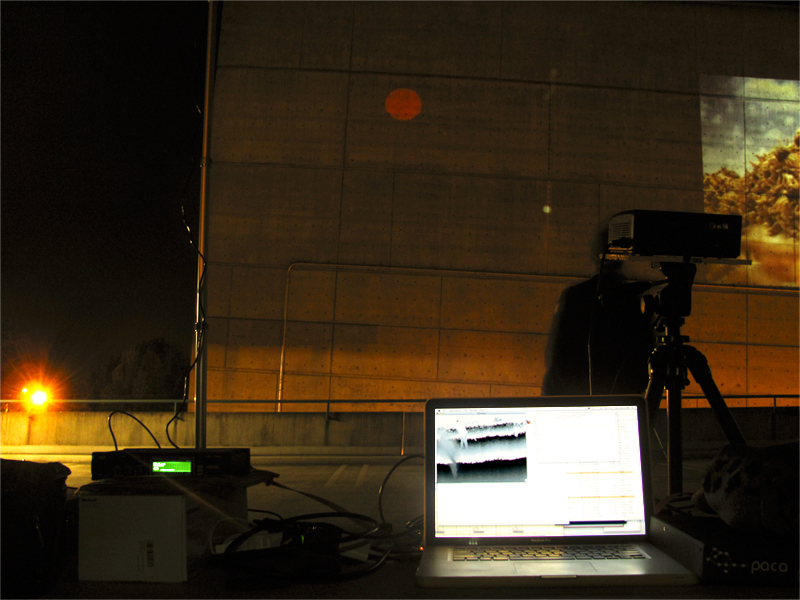 In this performance, the eMersion wireless sensors control both the sound synthesis (Kyma) and DMX stage lights in real time. No foot switches or third party help. Thank you to Chet Udell for allowing me the opportunity to represent eMotion Technologies, playing some of my own music using the eMersion wireless sensing technology. 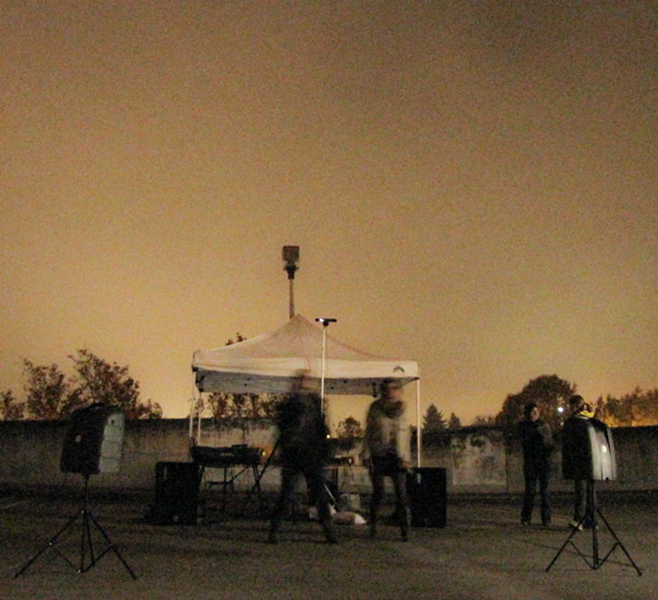 Human Chimes transforms users into sound that bounce between other users inside the space. 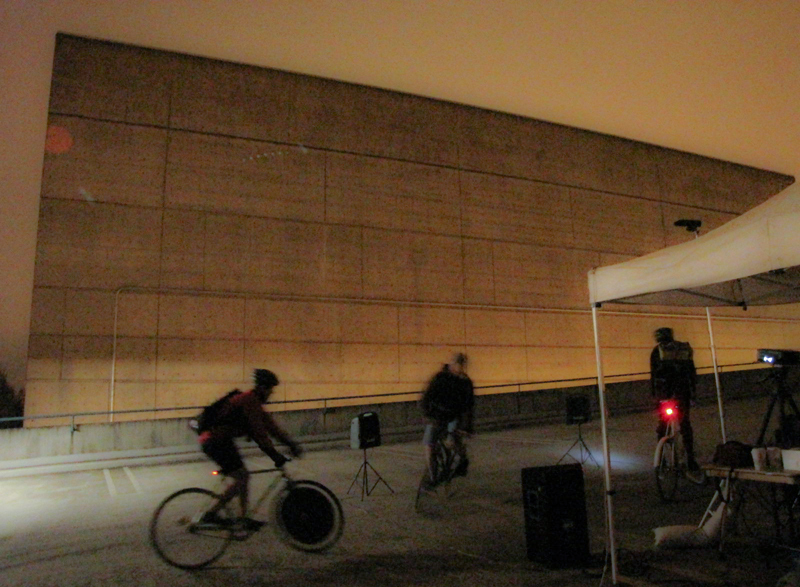 The sounds infer interaction with all other participants inside the space. 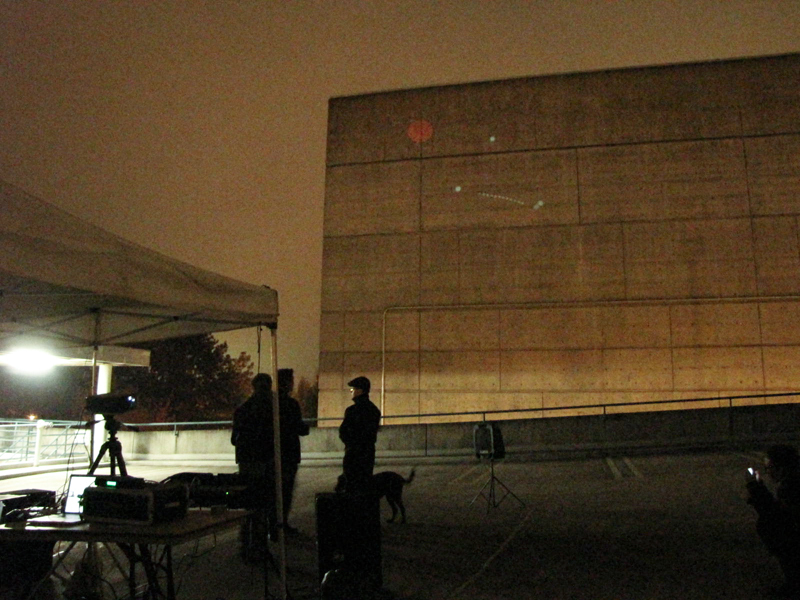 Participants perceive themselves and others as transformed visual components projected onto the front wall as well as sonic formulations indicating where they are. 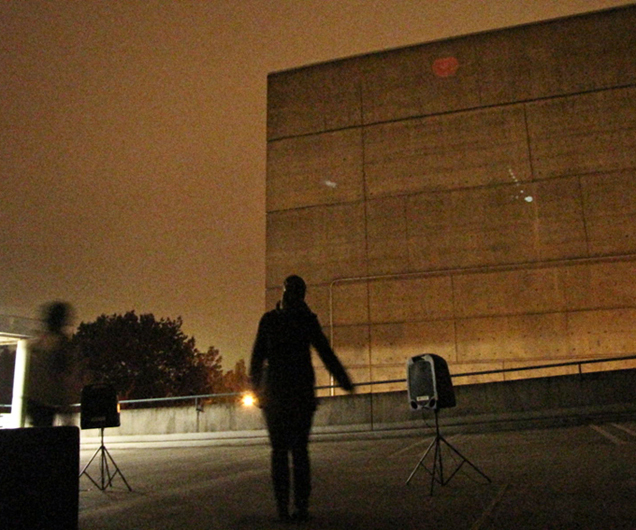 As people move, the sounds move and change to show changing personal interactions. 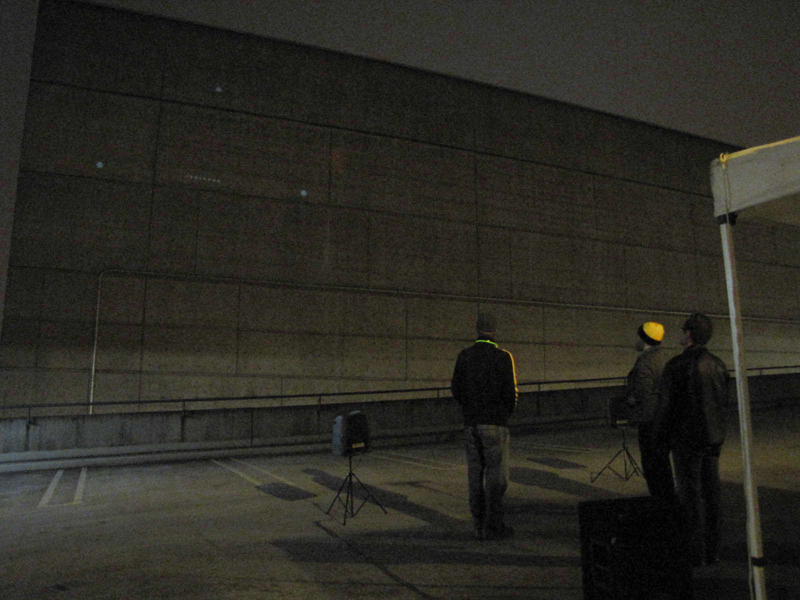 As more users enter the space, more sounds are layered upon the existing body. In this way, sound patterns, like our relationships with others, continuously evolve. The social work dynamically tracking users’ locations in real time, transcoding participants as sounds that pan around the space according to the participants’ positions. 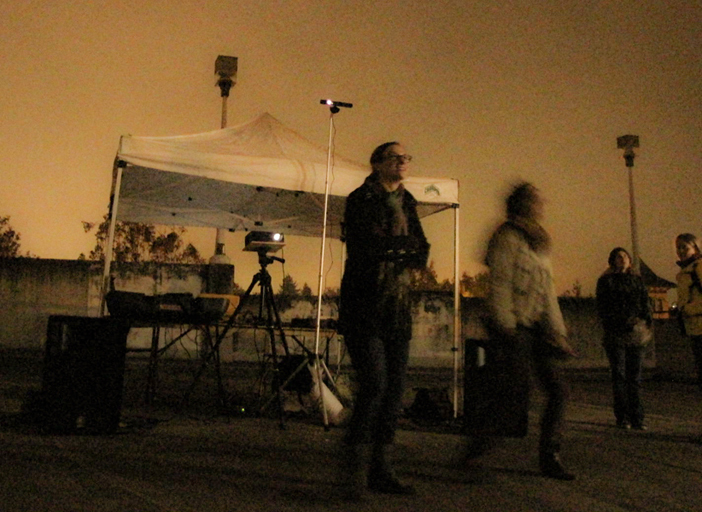 Human Chimes enables users to create, control, and interact with sound and visuals in real time. 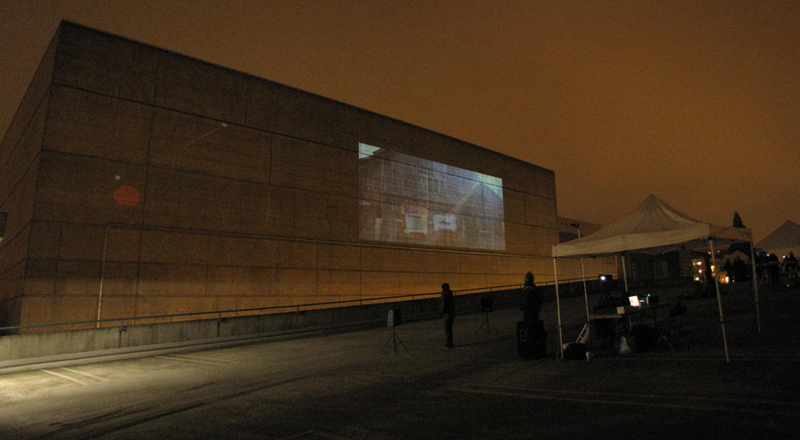 The piece uses a multimedia experience to ignite our curiosity and deepen our playful attitude with the world around us. 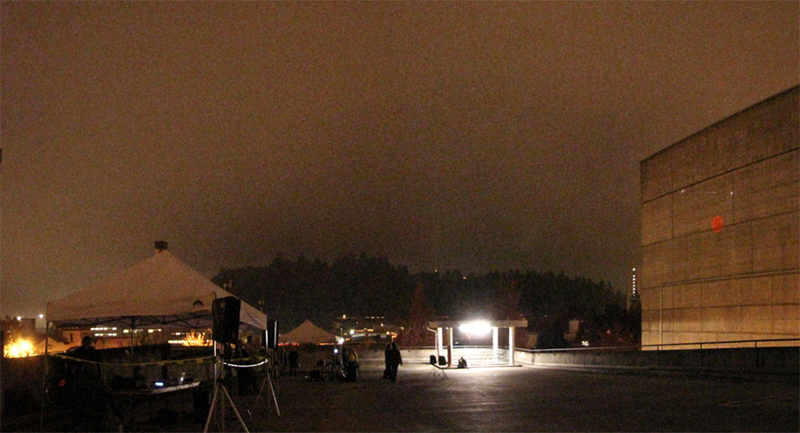 The work was commissioned in part by the University of Oregon and the city of Eugene, Oregon. 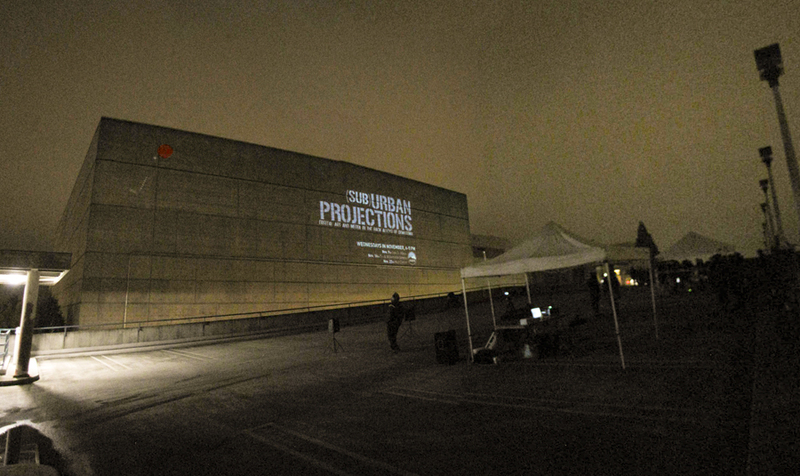 The work was presented as part of the (sub)Urban Projections film festival: Nov. 9, 2011.